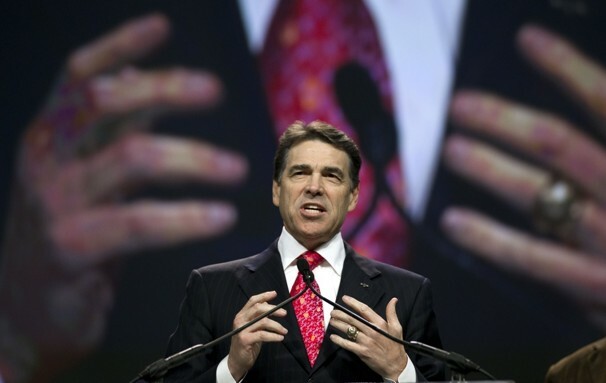 If you follow the U.S. Republican presidential candidates, you’ll remember that back in early August of this year, Texas Governor Rick Perry addressed a large prayer meeting in Houston’s Reliant Center. The event, called “The Response: A Call to Prayer for a Nation in Crisis,” was held under the auspices of the American Family Association. Today’s image post is taken from the excellent photojournalism blog BagNews. It was shot by David J. Phillip for the AP. I wonder if any of our readers can point us to some resources on the development of this particular style of political iconography. 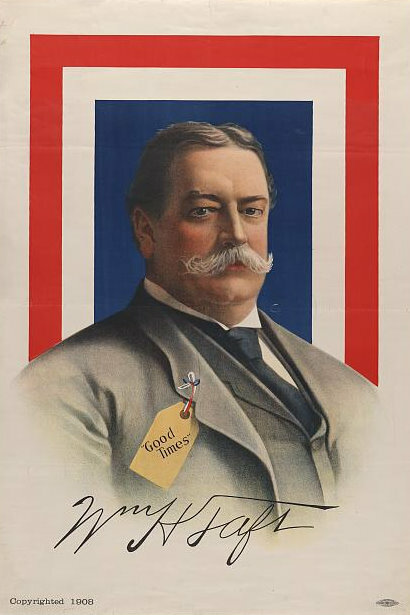 While poking around the Library of Congress website, I came across this campaign poster for Taft (1908). With its bright colors and straightforward design, I can easily imagine it being used as a backdrop for some whistle-stop oratory, but I’m just guessing. If you’re interested in more photos from the Response, visit BagNews for a few more great shots. There’s also a gallery at Flickr posted by the radio station KUT Austin, which has a couple of remarkable images as well, such as this one (taken by Jeff Heimsath), showing Perry alongside pastor C.L. Jackson. 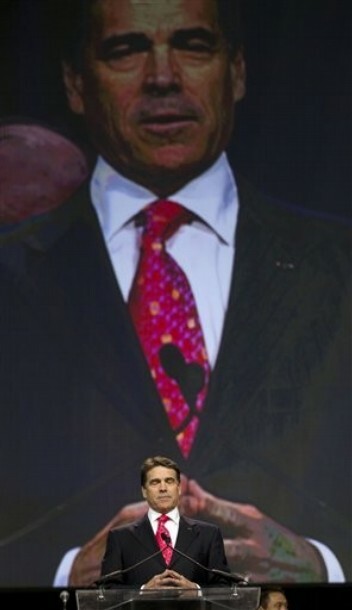 (Jackson appeared at Glenn Beck’s “Restoring Honor” rally last year.) Click the image to view full size. And finally, I think this last shot, taken (like today’s featured post) by the AP’s David Phillip and published by Elizabeth Tenety in the Washington Post‘s religion blog, is also notable for its composition, as well as for some of the same reasons I already noted. Read more about The Response at the New York Times (more or less neutral) or from Sarah Posner at Religion Dispatches (not neutral at all). There’s also a decent-quality video of Perry’s remarks on YouTube. 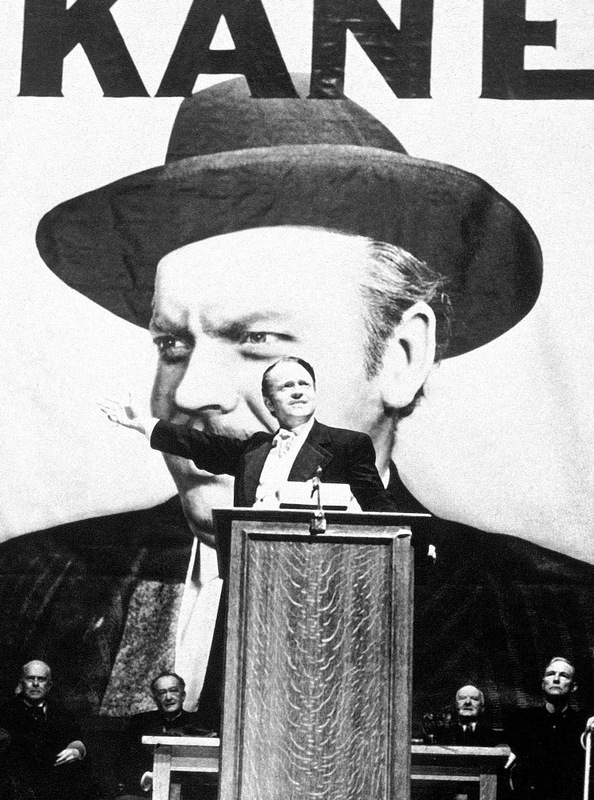 This entry was posted in Nathan Rein, Picture Book, Politics and Religion, Religion and Popular Culture and tagged American political culture, Citizen Kane, Glen Beck, Jumbo-Tron, presidential candidates, public prayer, Religious images, Republican, Rick Perry, Taft, The Response. Bookmark the permalink. I wonder how many Republican/Libertarian/Independents will intentionally avoid voting for him because of this stuff.